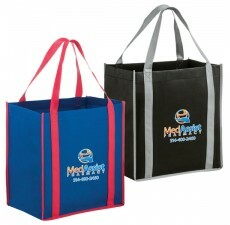 Promote your brand the eco-friendly way with “green” non-woven reusable bags from Custom Grocery Bags! 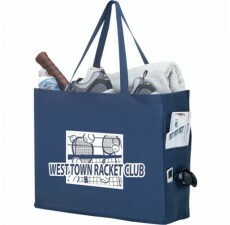 These eco-friendly bags made of non-woven materials are stylish, environmentally responsible and ideal for promoting your brand. 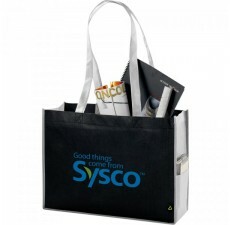 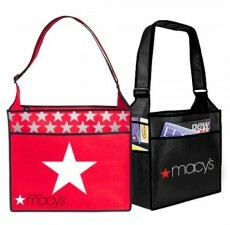 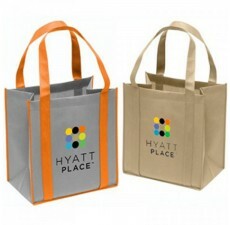 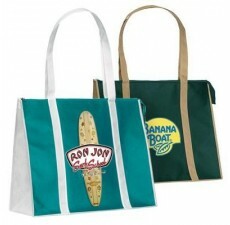 Tote bags are incredibly popular with customers, trade show attendees, vendors – everyone you do business with. 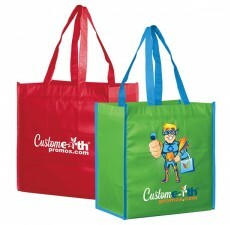 By giving out our non-woven bags to your contacts, you’ll actually have them advertising your business for you for many years and thanking you for the privilege. 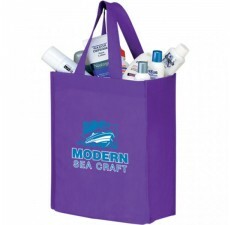 It’s a simple way to promote your brand while sending out an environmentally responsible message to your customers and prospects! 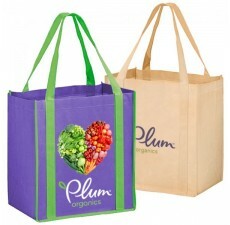 Why Go “Green” With Reusable Shopping Bags? 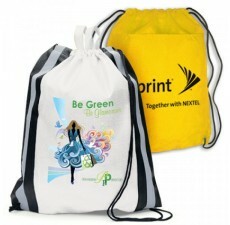 How can your business improve its green image? 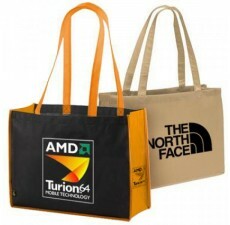 By taking that extra step to show your brand’s association with ecological consciousness. 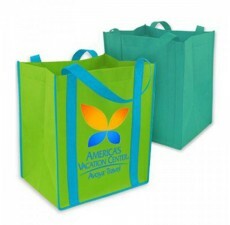 Distributing reusable shopping bags is great for your company image, as you are influencing others to follow green practices and being a great example yourself. 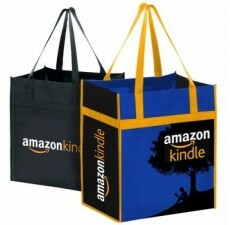 Customers reward companies that resonate with their own values – and in today’s world, initiatives taken by businesses to bring about environmental change are deeply appreciated. 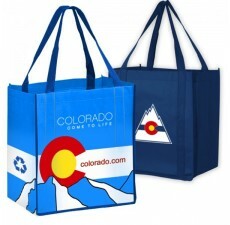 Using the wrong reusable shopping bags could do you more harm than good. 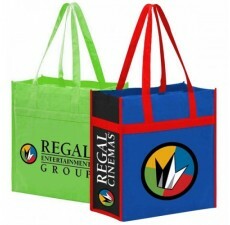 Low-quality reusable bags damage your brand identity – not only is your commitment to the environment questionable, you associate your company image with a low-quality product! 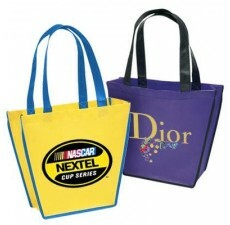 Instead, pick a manufacturer of high-quality and high-utility. 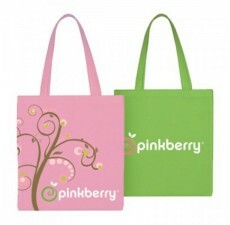 One that only provides durable bags so that your message, and your green image, stay fresh for years. 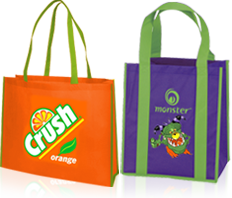 We produce high-quality products within your budget and offers only tough, stylish and customized non-woven reusable shopping bags. 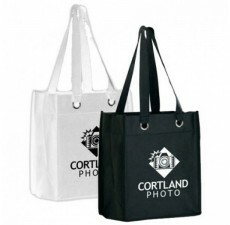 We incorporate elegant designs on quality fabrics to create fabulous totes that people just love to reuse!